Jason vs Jason X Comic. 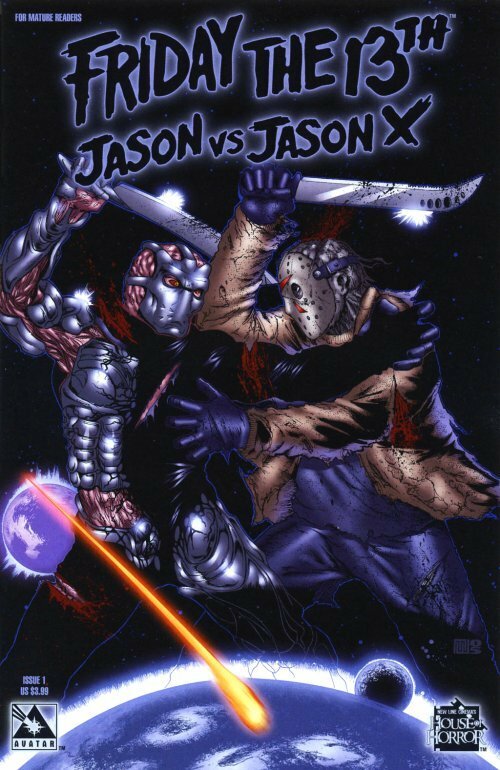 A two volume comic mini-series.. HD Wallpaper and background images in the Jason Voorhees club tagged: friday the 13th jason voorhees jason x uber jason comics books fan art. This Jason Voorhees fan art contains anime, komik, manga, kartun, and buku komik.